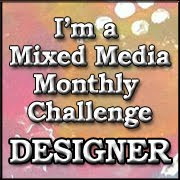 It's time for a new challenge over at the Mixed Media Monthly Challenge. 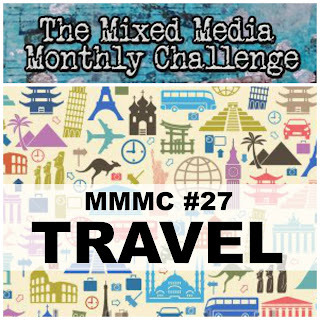 Our theme this month is "Travel." 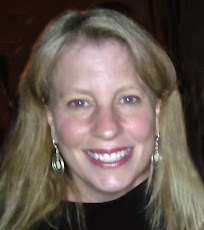 Our Guest Designer and sponsor is "The Frugal Crafter" herself, Lindsay Weirich. 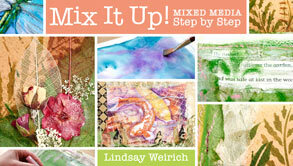 She's giving away a spot to her Craftsy Mixed Media Mix It Up class to our lucky random winner!! She's also offering 1/2 off to her class to all our followers. Be sure to go to the blog and check it out!! I created a "Travel" theme tag, inspired by Tim Holtz's July 2016 tag. I created the background from an old map that I covered with Distress Inks. 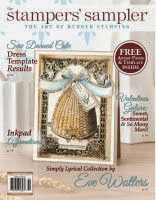 Then I stamped a few of Tim's stamps on it in Black Soot and Hickory Smoke Distress Inks. I used some old Crackle Paints on the cloud and airplane dies. I also used a stencil with Black Soot Distress Ink for the sentiment. On the film strip I used Tim's Chit Chat words. The suitcases are a Stampotique stamp that I added some distress inks and glittery accents to. To finish it off I died Tim's ribbon with distress stains and added the Journey token. 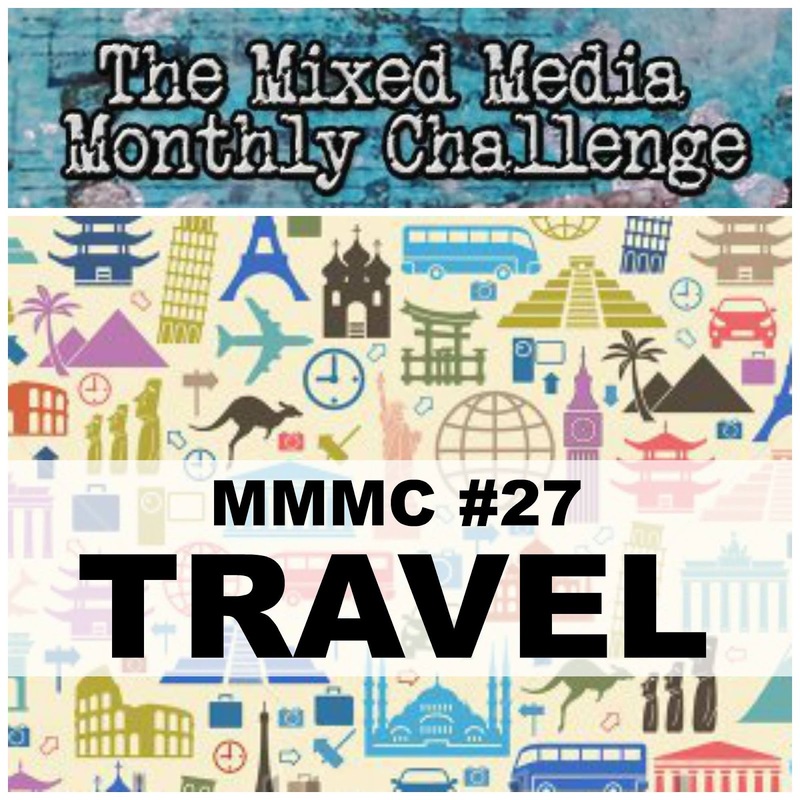 I can't wait to see your travel theme creation. Thanks for stopping by! Great tag - love your interpretation of Tim's July techniques! Fabulous use of the map... it makes a great background. Awesome travel tag!!! Love the map and embellies! Donna I love your travel tag... lots of distressing and the die cuts are adorable !!! Thank for the inspiration, I need to bust out some of my tags and do some art ! Love the creation. Magic in a small tag. Love the embellishment. The color selection is truly awesome. 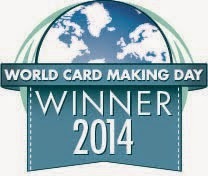 Thank you for your inspiration. Love your version of Tim's tag, my favourite colour combination as well. Great tag! Love the colors!